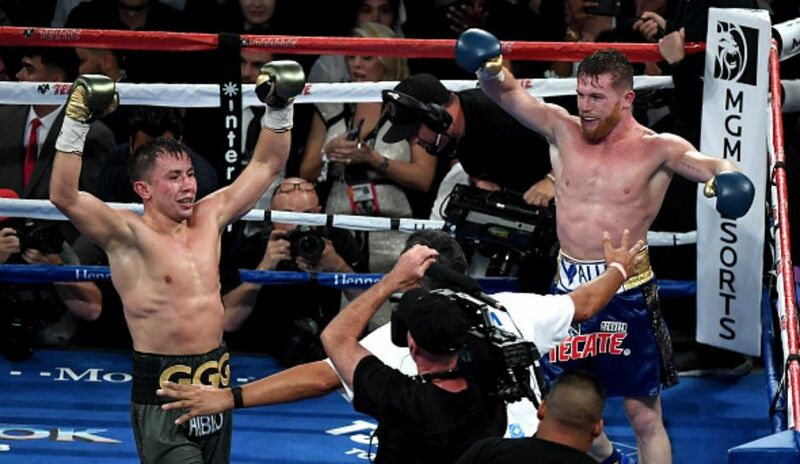 Finally it is here Golovkin vs. Alvarez II. All of the trash talking is over and the most anticipated return fight of the year, perhaps for many years, will be over by Sunday morning. The bad feeling between the two fighters is genuine and so is the difficulty in predicting who will win. I slightly favour Golovkin so Gennady is my pick, but my dearest wish is a fight worthy of the occasion and a clear undisputed winner. Under this great fight David Lemieux vs. Gary O’Sullivan promises mayhem with Lemieux looking down the slope if he loses and O’Sullivan hoping to get a fight against the winner of Golovkin vs. Alvarez. There is also Jamie Munguia and Roman Gonzalez fighting good level opposition. Munguia an exciting talent and he will be looking to blow away 20-1 Canadian Brandon Cook to build on his impressive power shows in wins over Sadam Ali and Liam Smith. Roman Gonzalez will be having his first fight for a year and be trying to salvage his career with a win over experienced Moises Fuentes. Two losses in the space of six months against Thai Srisaket saw Gonzalez fall from high in the Pound-for-Pound rankings to being dismissed as over the hill. It has been good to see some big fights announced and confirmed or in the case of Deontay Wilder vs. Tyson Fury seemingly all systems go with only the final details regarding date and venue to be announced-hopefully. December 1 or 8th have been mentioned as possible dates. Both fighters seem to have made concessions Tyson by agreeing to the fight being held in the USA and Wilder to a 50/50 purse split. There is some scepticism over whether it really will take place so let’s hope we see very soon a date and venue set and tickets on sale. Of course Wilder vs. Tyson is bigger than Anthony Joshua vs. Alex Povetkin. The winner will have a strong hand when it comes to bargaining for the Joshua fight next year but both Wilder and Fury know that what they are engaged in is basically an eliminator with the winner going on to face Joshua next year for a “Money Mayweather” level purse. If Wilder vs. Fury does not come off then both fighters will have to scrape around trying to find another significant fight this year. Who knows perhaps the WBC might even insist Wilder fights the winner of the 22 December fight between Dillian White and Dereck Chisora. Of course if Povetkin beats Joshua then it’s a different ball game as the winner of Wilder vs. Fury vs. Povetkin instead of Joshua won’t have the same significance or the same money. Crawford vs. Benavidez will be held 13 October in Omaha. Crawford, who has just signed a long term extension to his contract with Top Rank, unified all four major titles at super light and it will lead to some great fights if his aim is to do the same at welterweight. Crawford vs. Errol Spence, Crawford vs. Manny Pacquiao, Crawford vs. Keith Thurman, Crawford vs. Shawn Porter all fights to savour. As with Povetkin we have to hope Benavidez does not turn out to be a banana skin for Crawford. Not likely but in boxing anything can happen. Benavidez is not actually in the WBO ratings right now. That is because he is No 1 with the WBA and sanctioning bodies tend to omit a fighter if he is in the mandatory spot in another sanctioning body’s ratings but the next set of WBO ratings will soon solve that little detail. Both Crawford and the 6’2” Benavidez were top class amateur but their time at the top did not coincide. In 2006 Crawford won a silver medal at the National Golden Gloves and a gold medal at the National Police Athletic League Championships. He turned pro after failing to make the US Team for the 2008 Olympics. In 2009 Benavidez won a gold medal at the National Golden Gloves and a silver medal at the US national Championships. Interestingly in winning a bronze medal at the 2006 US National Championships Crawford beat Mikey Garcia 18-7 but lost to Danny Garcia 20-21. He did beat Danny Garcia in another tournament that year but lost to Cuban Yordenis Ugas which ended his hopes of a place at the 2007 Pan American Games. At the 2006 US National Championships you could have seen Crawford vs. Mikey Garcia and Crawford vs. Danny Garcia in the space of a couple of days for a few dollars entrance fee. Now they would be million dollar fights. In those 2006 Championships you could have watched Rau’shee Warren, Gary Russell, Danny Garcia, Demetrius Andrade and Daniel Jacobs who took gold medals and went on to win world titles and Crawford, Keith Thurman Edwin Rodriguez and Shawn Estrada who won bronze and Mikey Garcia, Casey Ramos, Mason Menard, Sadam Ali, Charles Hatley, Hank Lundy, Brad Solomon, Abraham Han. Jorge Diaz, Jessie Belmontes and Ray Robinson who went home empty handed. All for just a few dollars. A real bargain.